Do you remember my article about GYM Reward? if not, you can go to the following link HERE. What we discuss on this occasion will be closely related to the GYM Reward project. Q : Why does GYM Ledger relate closely to GYM rewards? A : You need to know that GYM Reward has begun to realize its project, which is a mining cryptocurrency activity that uses our sports activities. So for those of you who are interested in mining this GYM Rewads token all you have to do is prepare everything that is needed for mining then start exercising to be able to generate GYM Reward tokens. Q : If it is running, then why does GYM Reward need to hold another ICO by issuing a new token, GYM Ledger? A : You need to know that GYM Reward tokens which used ERC-20 blockchain (Ethereum wallet), have now switched to EOS wallet. GYM Ledger is here that will be the token of those who use the blockchain Ethereum. 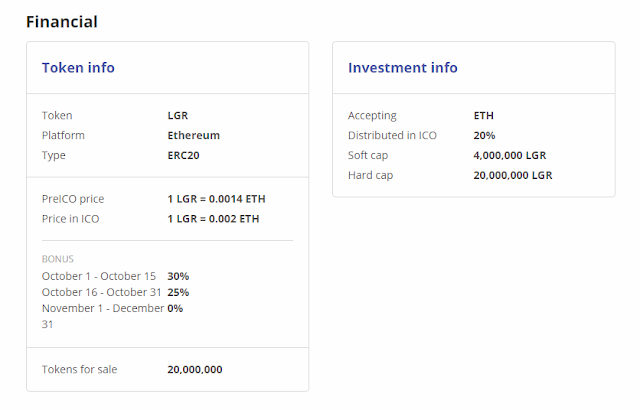 In addition, all proceeds from the sale of GYM Ledger tokens will certainly support the development of the project from GYM Reward itself and the most interesting thing is, all unsold GYM Ledger tokens will become tokens that can be screened with the GYM Reward application. Q : What is interesting about this GYM Ledger or GYM Reward? A : Of course the mining concept they offer is unique and very democratic. That is, indeed all mining activities are open to anyone. But in practice, only people who have high capital can do mining with high yields as well. This is where GYM Rewards enters with a mining offer using your body with the sports activities you do. So that anyone can do mining activities with the same capital and what distinguishes their income is who is exercising more often and more diligently. Q : What about the details of the ICO they carry out? A : Look at the picture below.